A Powerful solution for Human Resources management system facilitates the most effective utilization of human resources to achieve the objectives of both the organization and the employees. The system handles all HR activities. 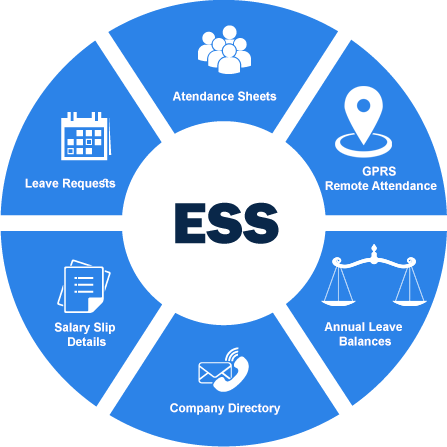 The best Time Attendance software package that fully automates your attendance process. Just configure your attendance rules, connect to remote devices, and leave the rest to ALFA Time. 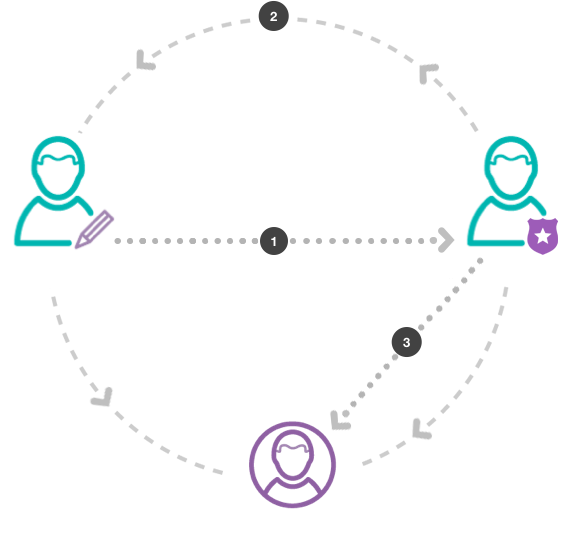 Close integration among payroll, attendance, and leave management works with Face, Fingerprint & RFID Fully Automated. 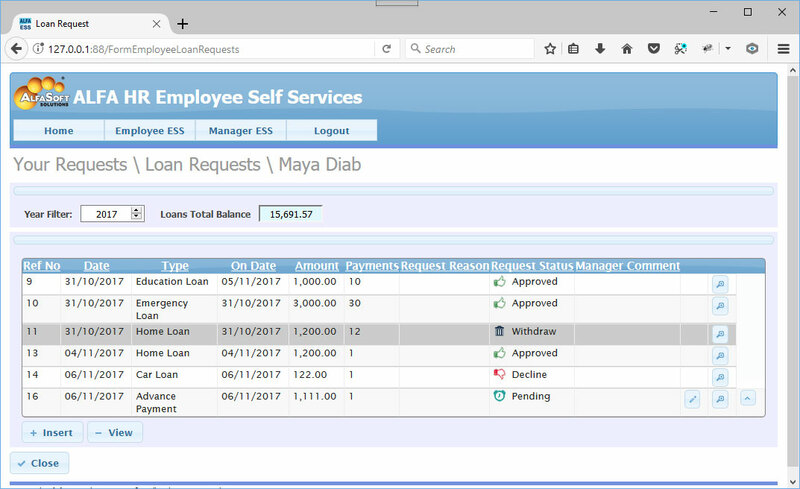 Full Employees financial software makes it easy to track, streamline and automate the process of paying your employees payroll. 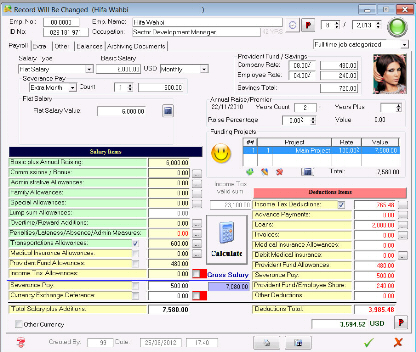 Calculate all salary’s items, Provident funds, Commissions & Bonus, Allowances, Loans, Medical insurance and taxes in minutes. 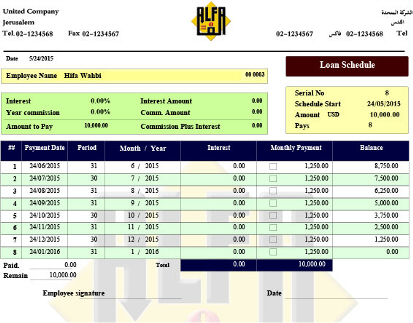 ALFA Payroll can help your firm process payroll more efficiently. As a centralized employee database, the employee Management track and manage employee performance, employee documents archiving, HR department reminders, Company Possessions management, Training Courses, Employee Travels and Documents Generator. 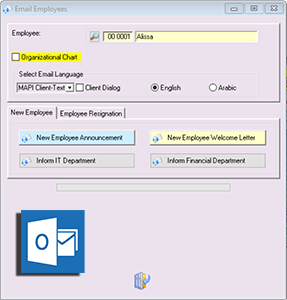 Innovative communications tools using SMS messages and/or email to send announcement, notifications, salary slip, …etc. for employees or a group or department. With Quick and direct Anywhere (local & International) using email or low cost bulk SMS. 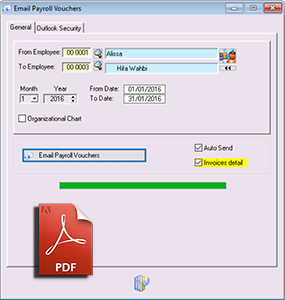 Employees are empowered to view important personal data with a few clicks of a mouse. 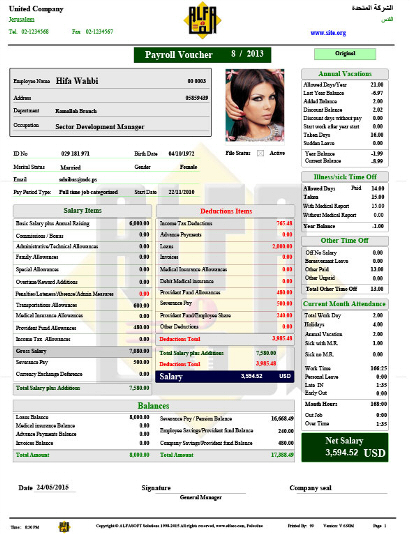 They can view information such as attendance sheets, salary slip details, annual leave balances, and company directory. They are also able to update certain fields such as GPRS remote attendance. Managing time off has never been easier. 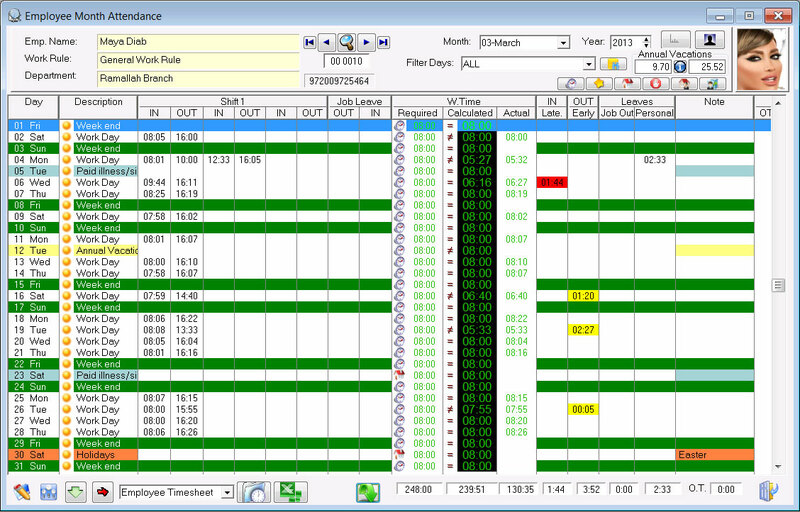 Employees can view time-off balances (annual leaves and sick leaves). 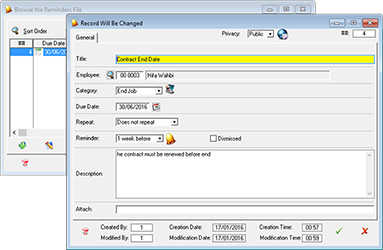 They can request time off and edit or delete time-off requests. Employees have instant access to view personal benefits information, including Family Allowances, Transportations, Overtime, savings benefits, Commissions - Bonus, Administrative, insurance benefits and employer contribution costs. 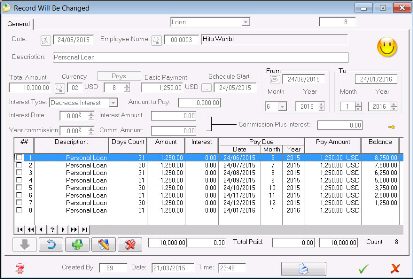 Employees are given instant access to view payroll information including paycheck details and pay history. Allows managers to review and approve time-off requests. Replay approval or decline to employees request instantly by email or sms. automates business processes with robust, flexible workflow features. employees are empowered to send email, sms or both to his manager when submitting a request. And Manager also can send approval by email, sms or both. Security features such as password protection and database security ensure that employees’ sensitive data remains secure. 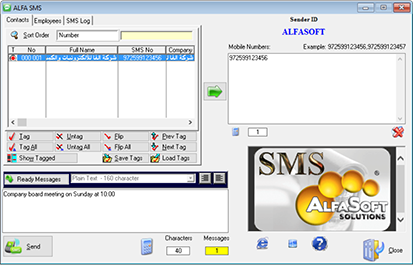 ALFA ESS also supports 128-bit SSL encryption to protect data transmitted over the Internet. Full integration means that once changes are submitted and approved by the appropriate administrator, they’re automatically updated in the ALFA HRMS database. 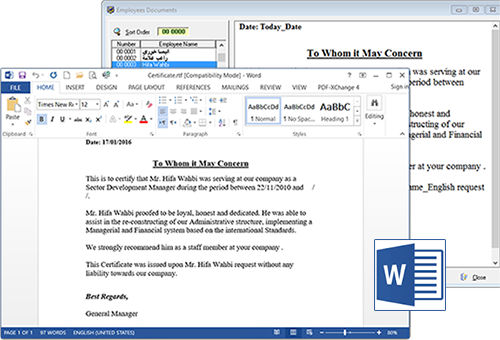 Send Salaty Slip in Adobe Acrobate PDF format. Does not need (Hardware) only Internet.